Could they have at least been soft snow flakes! 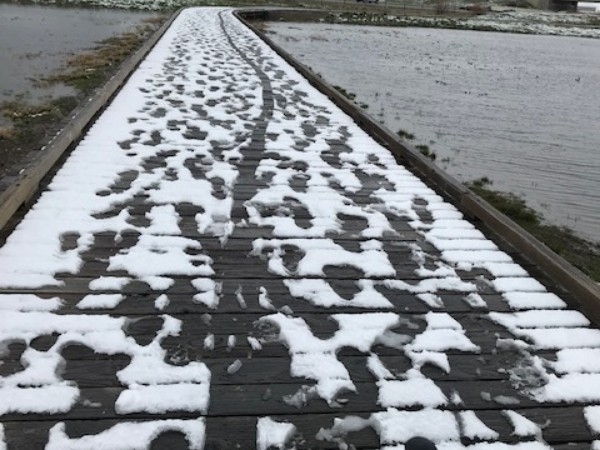 Well, we're a week out from the start of Chain Reaction NSW 2019 and I'm trying desperately to find my in season fitness but the weather is making it tough. My commute home on Friday was supposed to be dry and about 48 degrees farenheit but I was greeted with sleet, wind and lots of standing water. 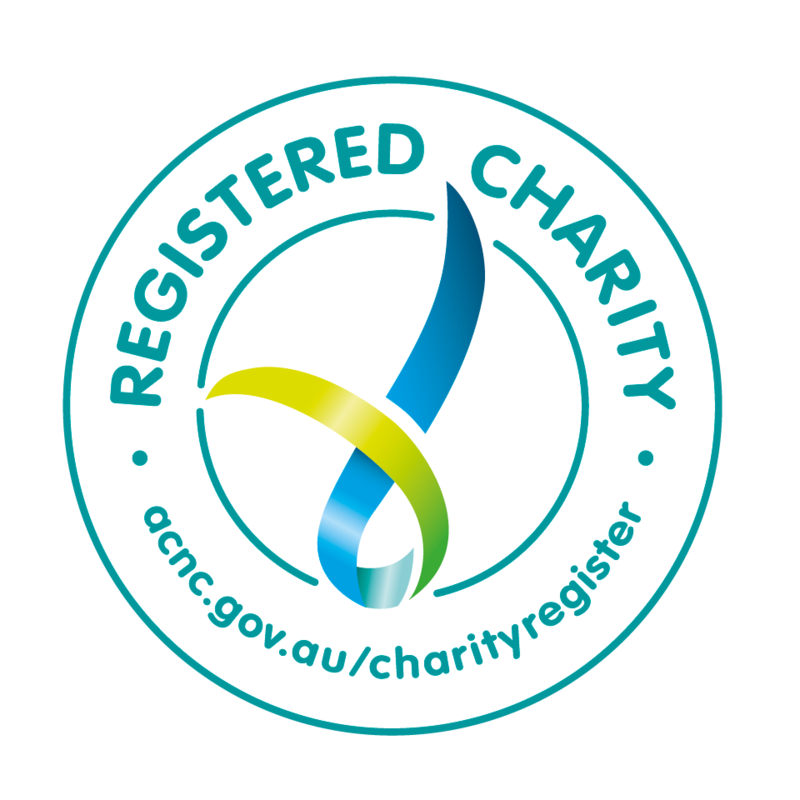 However, I recognise these are non-issues when compared to the illnesses and challenges of the families that Starlight Childrens Foundation supports. I'm hoping to reach my goal of $7500 before the start of the event this Saturday. Thank you to all those who have generously supported already!! Well, we came down south in search of warmer weather and found some in St George Utah. We got some great riding in the past 2 days with one more tomorrow. Still found quite a bit of snow at the higher elevations of Zion National Park. It was good to test my legs after being stuck on a trainer all winter. 155 miles and 12,500 feet in the past 2 days so I'm relatively pleased with that. I'll still most likely be behind the guys and gals who live in Australia and have been able to train a lot more but I'll take what I can get! 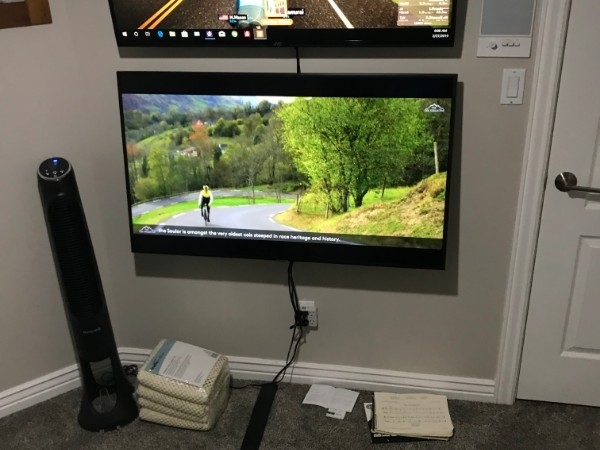 Zwift and YouTube cycling clips to help keep me motivated indoors. I'm heading down to Southern Utah where the weather is warmer this weekend to get outside for the first time in 4 months. 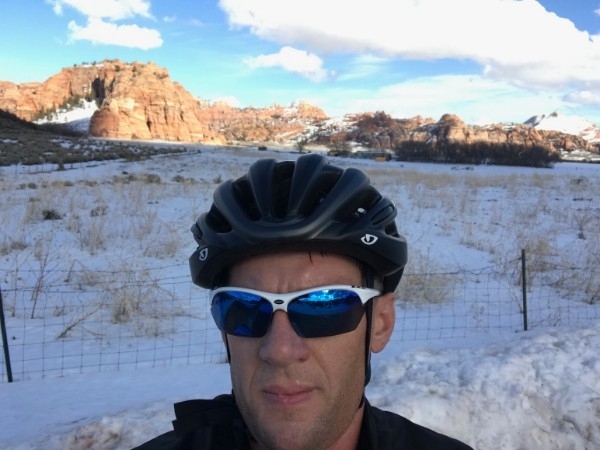 Well, it's not the most exciting way to train for an event but with just over 5 weeks to go for the event I have to get my miles in some way and this has been one of the snowiest February's on record in Utah so riding outdoors is not a great option. As a father of 4 wonderful and healthy children I often think about how fortunate I have been that my kids have never had to battle health issues. Not all are so fortunate. Help me support these beautiful kids in need. 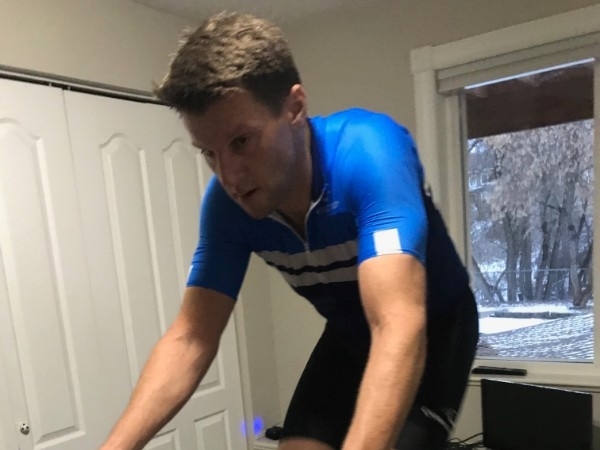 Way to go Mark, have a great ride! Good on you Mark!! Sorry I missed it. Best of Luck Mark!! Worthy rider for a worthy cause. Have a great and safe ride Mark! Thank you for giving your time and skill to this cause! Go Mark!! Way to go Mark! Such a great cause and a good example you’re setting for the rest of us. Good luck my friend! Go Mark! We'll be cheering you on from the GPS offices! This surprises me, you’re usually not a very benevolent person. Go get ‘em brother! Good on ya, mate! Keep the rubber side down always. Show them how Zanc does things! Best of luck to you mate! Mark, What a great cause! Good luck and hope this small amount helps. 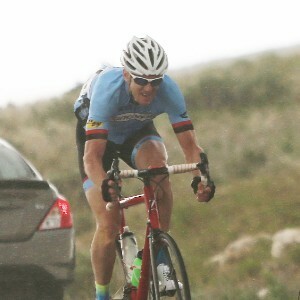 Mike D.
Have a great ride Mark! Good Luck! I'm sure you will do well.